For the past 20-plus years, French export Mireille Hamon has been beautifying Chicagoans and celebrities, delivering expert skin care and makeup artistry services. 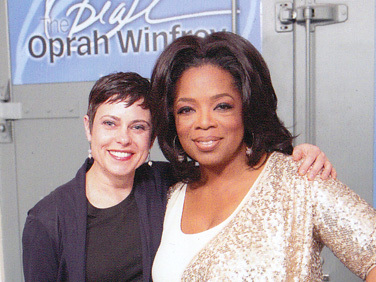 As a makeup artist for the Oprah Winfrey Show, Mireille’s impressive client list included A-List celebrities, rock stars and newsmakers. Born and raised in France, Mireille received her training at Chantale Le Cozic in Rennes. Focusing on skin care and makeup, she combines the elegance of her French culture with creativity and good humor. Her specialties include eyebrow sculpting, makeup application, special event/wedding makeup consultation, customized makeup tutorial, skin care treatment and education. Mireille personally trains each member of her staff, ensuring that each client receives top-notch treatments, and one of the reasons Mireille’s Studio has earned Dermalogica’s Circle Award of Excellence. Shellie Cummings has been on staff at Mireille’s Studio since its grand opening in 2003. Professionally trained in esthetics at Pivot Point International, Inc., she enjoys helping clients look and feel their best. A believer in continuing education and keeping pace with the latest advancements in skin care, Shellie continues to augment her esthetics training at The International Dermal Institute. Her specialty areas of service include skin care, waxing and tinting. Shellie’s philosophy on skin care is a holistic one, believing that the best approach involves a combination of professional treatments and proper home care. “Caring for your skin is like tending to your family—it takes continuous love and attention but the outcome is fabulous” says Shellie. Shellie and her husband Tom are the proud parents of two playful and spirited young children. Maryam Tabrizi came to Chicago in 2009 from Wisconsin to transform her passion of skin care into a new career. Graduating from Pivot Point International Inc, she began working in the skin care field focusing her work on skin health and leading a balanced lifestyle. With a background in social work, Maryam is well-known for her calming manner and ability to listen and soothe. First a client of Mireille’s, Maryam began working at the Studio in December 2012 and continues to take classes and stay current on skin care methods and trends. Maryam lives in Roscoe Village with her husband and happy little boy. She enjoys staying active and is co-founder of a non-profit organization Feeding Mouths, Feeding Minds. Maarit, a native of Yläne, Finland, is a 1994 graduate of the Chicago School of Massage Therapy. Certified in deep tissue, Swedish, myofascial, and hot stone therapies, she is also experienced in pregnancy/infant massage and welcomes all body types and all ages. Rita Murad has been in the beauty industry since the early 2000’s. She and Mireille also first met while working at the spa exclusive to Harpo Studios employees and show guests. Rita honed her expertise in PCA chemical exolifation treatments during her esthetician training at the Estelle Institute. She graduated from the institute in 2014. Rita is also Mireille’s Studio’s semi-permanent makeup artist! Rita was trained at Phibrows Academy, one of the world’s best schools for Microblading technique. Microblading is a manual semi-permanent makeup method. In Microblading, pigments are meticulously deposited into the epidermis using a very fine blade to apply a hair stroke technique that mimics the eyebrows’ natural look. The results are at once striking, subtle, and elegant. Rita is a natural perfectionist, and her hard work and dedication in detailed Hair Stroke Eyebrow Work—so-called Microblading—has earned her the highest qualification at Phibrows Academy. Meredith Stanley has practiced esthetics for 12-plus years in Chicago and has worked with Mireille at the studio since 2015. Meredith loves seeing the confidence a healthy complexion brings to her clients. She has an understanding of even the most difficult skin types and customizes treatments and care regimens to help your skin reach its greatest potential. She applies this understanding to waxing treatments as well. Meredith is also our eyelash extension specialist! We offer industry-leading Xtreme Lashes® Eyelash Extensions, developed to mimic your natural eyelashes. Meredith individually applies each extension to a single eyelash, resulting in a natural look that even feels completely real.